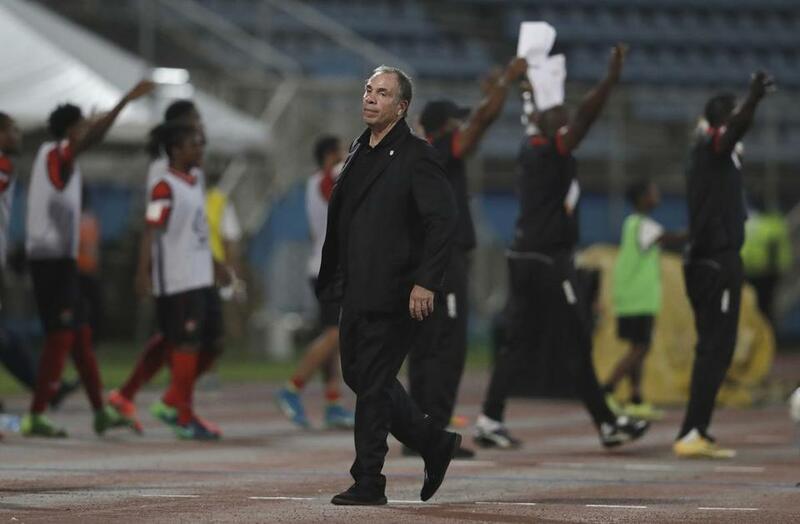 Bruce Arena’s final game as coach of the US was a 2-1 loss to Trinidad & Tobago. Listen to recent episodes of the Boston Globe’s Season Ticket podcast. Bruce Arena resigned as US men’s national team coach on Friday, three days after the Americans failed to qualify for the World Cup for the first time since 1986. 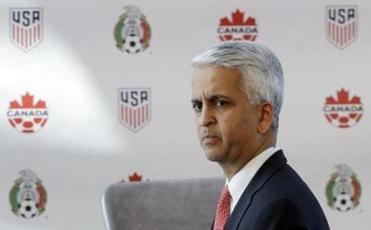 The US Soccer Federation said within 10 days it will announce an interim coach for planned exhibition games next month. USSF president Sunil Gulati, speaking during a telephone news conference, said he did not plan to resign. He said it was not the right time to talk about whether he will seek a fourth four-year term during the federation’s annual meeting from Feb. 8-11 but did say in recent weeks he had sent letters to people seeking to be nominated. ‘‘This is a big shock to the system. We understand that. We understand how much frustration, anger, disappointment, hurt there is,’’ he said. The need for change was evident in the US’s failure to qualify for the 2018 World Cup. Gulati said the federation held a board meeting Thursday night and will seek ‘‘outside expertise’’ as it evaluates what went wrong. A 66-year-old member of the US National Soccer Hall of Fame, Arena coached the US from 1998-2006, including a trip to the 2002 World Cup quarterfinals in 2002, the best American finish since the first tournament in 1930. He was fired by Gulati after group-stage elimination in 2006, then brought back last November after a 0-2 start in the final round of qualifying in the North and Central American region under Jurgen Klinsmann. The Americans were unbeaten in their first 14 games under Arena, winning their third CONCACAF Gold Cup under him, but they lost a home qualifier to Costa Rica, 2-0, last month, putting a berth in danger. A 4-0 home win over Panama last week put the US back in position for an eighth straight World Cup trip and the Americans needed only a draw at Trinidad and Tobago, the world’s 99th-ranked team. After months of constant lineup changes, Arena kept the same 11 starters, and the Americans fell behind by two goals in the first half and lost, 2-1. With three wins, four losses, and three ties, the US finished fifth among six teams in the hexagonal. Panama climbed to third and qualified, and fourth-place Honduras will meet Australia in a playoff next month for a berth. Arena was 10-2-6 in his second term, leaving him with an 81-32-35 record and the most wins among US coaches. At the club level, he won Major League Soccer titles with D.C. United in 1996 and ’97, and with the LA Galaxy in 2011, ’12 and ’14. Gulati ruled out his own resignation after the qualifying failure. ‘’The sport is in a very, very different place than it was 10 years ago or 30 years ago when I first got involved,’’ he said.